Since its beginning in 2009, with a few volunteers arranging flowers in floral designer Joyce Bellefeuille’s basement workshop, The Power of Flowers Project has grown to include over 100 volunteers donating thousands of hours each year and scores of recipient facilities serving the ill, the elderly, veterans, and others in need of a lift. We are a group of volunteers dedicated to enriching the lives of others by harnessing the proven power of flowers to lift spirits and promote healing. Our bouquets can be found many places, from bedsides in nursing homes to coffee tables of Meals on Wheels clients, from the hospital rooms of critically ill children and disabled veterans to the rooms of homeless mothers, and from community meal sites to the desks of under-appreciated helpers. 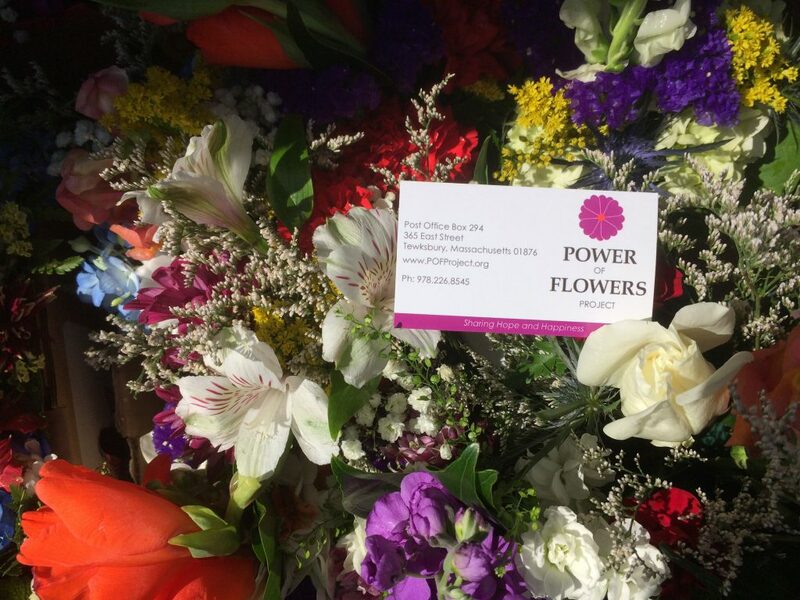 We re-new and re-fresh gently used flowers recycled from weddings, banquets, business conferences, memorial services—any event where flowers are left behind or tossed in the trash while they are still fresh. We also receive donations from flower wholesalers. We make and deliver over 400 bouquets every week to the 130 care facilities on our roster. All free of charge. Over 90,000 bouquets have been made and delivered since 2009. The gift of each resident receiving an individual arrangement is breathtaking for them… they all too often drop through the cracks of attention. 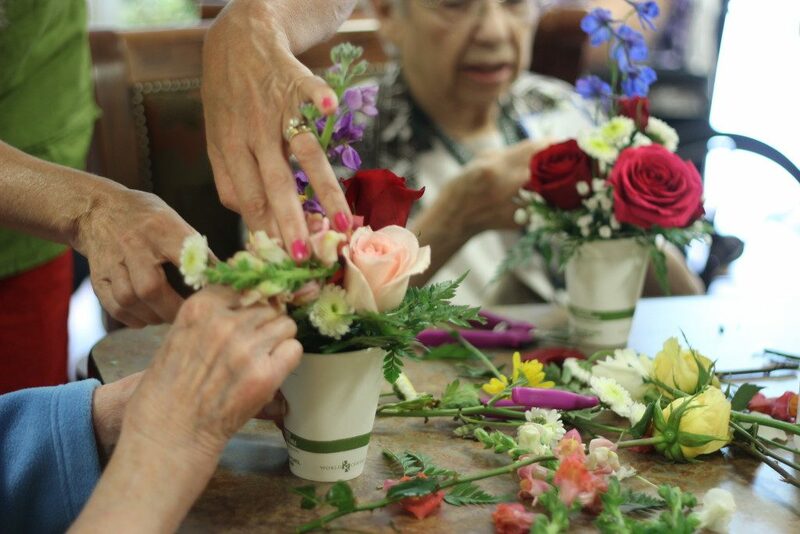 In addition to delivering bouquets to care facilities, volunteers conduct Flower Therapy Workshops on site at care facilities, which enable residents to create their own bouquets. The activity promotes the use of fine motor skills, engages the senses and creates a positive social setting. Over 65 workshops were conducted in 2018. 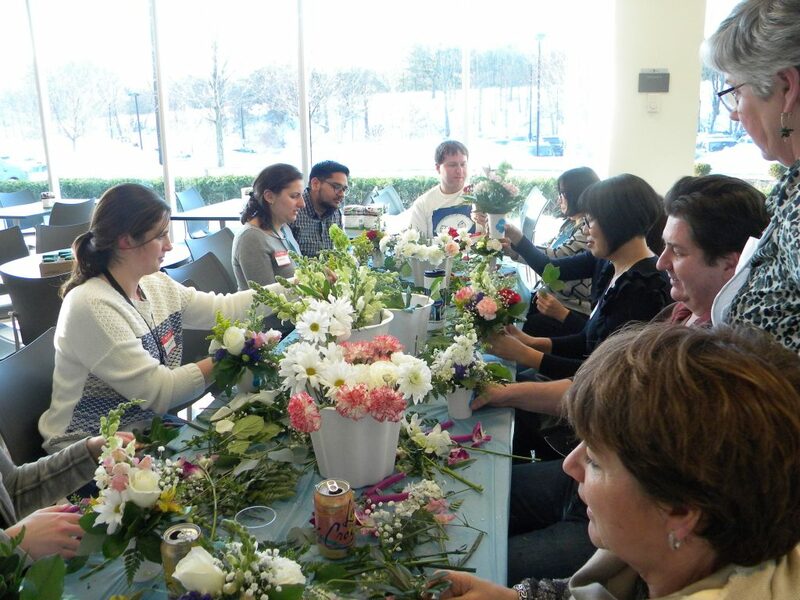 Kindness Connections enables businesses to give back to the community by sponsoring bouquet production workshops at their site where employees make the bouquets, choose the care facility and deliver the bouquets. Started in 2017, more than 100 employees in four businesses have participated. Although all our flowers are donated and all the work is done by volunteers, we have expenses such as foam and cups to make the arrangements, gasoline to deliver them, and workshop overhead. For this we rely on the generosity of people like you –people who want to see their charitable donations used to provide a valuable, uplifting service right in our own community.